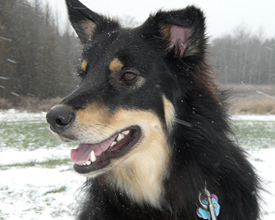 75 rescued dogs’ lives from a northern Ontario First Nation’s Community have been changed forever, and for the good. The Ontario SPCA, along with support from Beat the Heat Kenora, the Thunder Bay & District Humane Society, the North Bay & District Humane Society and Cargo North Airlines were invited by Whitefish Bay First Nations Community to assist in the capture and transfer of 75 dogs and puppies. We're kicking off the 2015 iAdopt for the Holidays campaign with a contest you won't want to miss! You can win a year's supply of pet food from Royal Canin AND weekly prize packs. Visit iadopt.ca for details and to get in on the action! And don't forget to visit your local Ontario SPCA Animal Centre from now until December 31st and change an animal’s life this holiday season. Giving Tuesday is December 1, 2015 - a day where charities, companies and individuals join together to make a difference. Since Giving Tuesday is about giving back to community, we want to say a big thank you to all our supporters for helping us through the years. It is thanks to you that we have been able to provide animal protection, rehabilitation and care; advocacy and humane education for the past 142 years. Your help makes a difference for thousands of animals each year. Whether you choose to assist through the donation of a financial gift, event sponsorship, giving an animal a second chance, or volunteering your time, your support makes our work possible. Thank you for choosing to support the Ontario SPCA! Keep an eye out on our social media channels for a special thank you video. Bear is now a “Foster Father” to other cats in need of comfort. Velvet is now a therapy horse alongside her foal, Chantilly Lace. Rocky & Friends plush toys are all based on real animals that found forever homes! A perfect purchase for the animal lover in your life. Each purchase includes a premium plush toy, adoption certificate and story card. It’s inevitable. We live in Canada which means cold winter months are in the forecast. Whether you are planning to hibernate or excited to pull out the toque and gloves and bring your pet out for some cold weather fun, safety should always come first. Enjoy a nice winter season with some cold weather safety tips. The Ontario SPCA is excited to announce the soon-to-be-launched Humane Education Program. 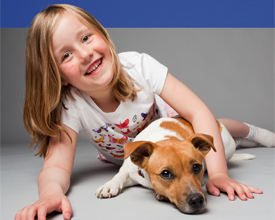 The program has been designed with curriculum writers to utilize inquiry-led, play-based learning principles to support children in developing and maintaining positive relationships with pets. Lesson plans and activities will engage students in learning age appropriate content, concepts and skills as they explore the relationships shared by people and their pets. Teachers are encouraged to sign-up for more information. Adopting a Pet Pig - Is it for You? When we think of pet adoption, we usually think of dogs and cats. But did you know that some unconventional pets like pigs make great house pets too? Clancy and Miley Ray are here to help you decide whether adopting a non-conventional pet is right for you and if so, what needs to be considered first. View pigs available for adoption.